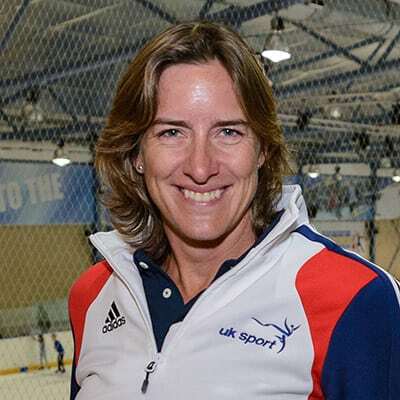 Dame Katherine Grainger became UK Sport Chair, for a term of four years, on 1 July 2017 having been formally appointed by Culture Secretary Karen Bradley, with the approval of the Prime Minister. She took over the role from previous Chair Rod Carr, who stepped down from the position in April 2017 after coming to the end of his term. Katherine commenced the role just days after she was awarded rowing’s most prestigious prize, the Thomas Keller Medal, for an Outstanding Career in Rowing. The former rower is Britain’s most decorated female Olympic athlete and the first British woman to win medals at five successive Olympic Games, including a memorable gold medal at London 2012. Katherine was born and educated in Scotland, graduating in law from Edinburgh University, then went on to achieve an MPhil in Medical Law and Medical Ethics from Glasgow University. In May 2013, she completed a PhD in the sentencing of homicide at King’s College, University of London. Katherine took up rowing at Edinburgh University in 1993 and made such good progress that she was awarded the Eva Bailey Trophy as the university’s most outstanding female athlete in 1996 and again in 1997 when she won her first international Gold medal at the U23 World Rowing Championships. Katherine is the Honorary President of the Scottish Amateur Rowing Association and a member of both the Edinburgh rowing club, St Andrew Boat Club and Marlow Rowing Club. She is also an honorary life member of Aberdeen Boat Club. In November 2009, Katherine was named as Scottish Sportsperson of the Year and awarded the “Emirates Lonsdale Trophy” by Commonwealth Games Scotland, the first female to win this prestigious award. In December 2010 Katherine was awarded an honorary doctorate by The Robert Gordon University, Aberdeen and in June 2011, received an honorary doctorate from Edinburgh University, where she had formerly been a student. In 2012 Katherine’s dreams were realised when she won the elusive Olympic Gold medal alongside teammate Anna Watkins in the double sculls in London. Katherine was appointed Commander of the order of the British Empire (CBE) for services to rowing which was announced in the 2013 New Years’ Honours. She was elected to the British Olympic Association’s Athlete Commission and became a member of the Board for the charity ‘International Inspiration’. Following a two year break from the GB Rowing Squad, the end of 2014 saw a new chapter begin as Katherine returned to a demanding training regime and on the 11 August 2016, she became the most decorated female Olympian of all time winning a silver medal in the Rio Olympic Games, narrowly missing the gold after leading for three quarters of the race. In March 2015, Katherine was inaugurated as Chancellor of Oxford Brookes University, a role she will hold for a 7 year tenure. To round off a most exceptional 20 year rowing career, Katherine was named ‘Dame Katherine Grainger’ in the 2017 New Years’ Honours List for services to rowing and charity.